These are the books that have helped me deal with stressful times and the work of the Fire Department. I list them in no particular order, but each one of them is ear-marked and heavily underlined. My father introduced this book to me. Since then, I have always thought that it needs to be required reading in High School (and for firefighters!) 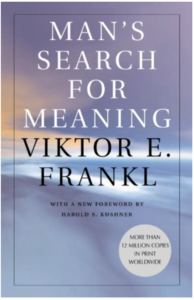 A Viennese Psychiatrist, Frankl was sent to the Nazi death camps, including Auschwitz, during World War II. His parents, brother, and pregnant wife were all killed by the Nazis. His central premise, which has stood the test of time, is that we can choose how to cope with suffering, we can choose our attitude, even under horrific circumstances. 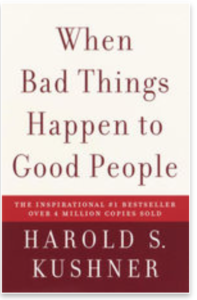 I picked this book up after a series of bad fire department calls. Although I’m not particularly religious, I found Rabbi Kushner’s clear-eyed explanation of why tragedies happened and how we can cope with the aftermath comforting. Another book that I picked up at an airport. 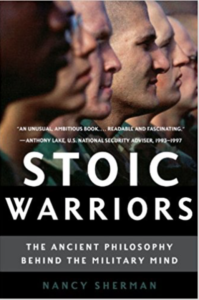 Although it’s about soldiers and combat, I found a great text on how the Stoic mindset can guide us as firefighters and civilians through difficult times.